• WHY IS 7 SUCH A LUCKY NUMBER AND 13 SO UNLUCKY? • WHY DOES HEINZ HAVE 57 VARIETIES? • WHAT IS THE HOTTEST RECORDED TEMPERATURE ON EARTH? • HOW MANY DIFFERENT TEAMS HAVE WON THE PREMIER LEAGUE? 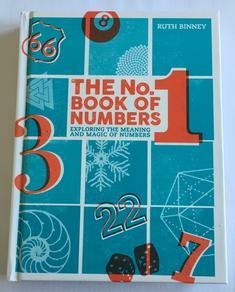 Find the answers to all these questions, and discover the many other fascinating ways in which numbers continually order and enrich our lives in this absorbing collection of facts and trivia. So whether you’ve ever wondered why there are 60 seconds in a minute, how to calculate the odds in games of chance, why Coco Chanel selected No. 5 for her iconic perfume, or how the title Catch 22 was chosen, then this is the book for you.